When talking about this kitchen equipment, you are probably wondering on which brand is the best one to invest. Honestly, there are several gas grills company in the market with quality products. But here’s the bottom line; not all of them can achieve your expectations in grilling. Thus, you have to be wise in selecting which gas grill to invest. Inasmuch, ask help from reliable sources like the Perfect Grill Parts to guide you on your quest. If you already have browsed the web for potential gas grills to buy, for sure, you encountered the name, Weber. Weber is a well-established name in this industry. It is famous for its impressive and functional kitchen equipment innovations since its establishment. Today, you would know Weber as a gas grill manufacturer with several product lines to offer. One of their latest creations is the Spirit II E-310. The Spirit product series of Weber is highly sought out for its performance and convenience. And, the newer E 310 from Weber, is the heart and most advanced model of the Spirit II series. But the question is, what makes Weber Spirit II E 310 a better option compared to other Spirit gas grill models? Below are the details you have to know about this gas grill. Similar to other Spirit series of Weber, the inspiration behind the construction of this equipment is efficiency and convenience. This item is a user-friendly gas grill that is quite dependable when it comes to grilling all sorts of food. Moreover, this equipment is available in two and three burner configurations to give customers more options. Compared to former Spirit models, this item has a modern appearance. The aesthetics of this product is quite appealing. The sleek design looks stunning and elegant. It is available in five colors which include black, ivory, red, sapphire and mocha. This innovation is a state-of-the-art creation. It is the only Weber product line with the most advanced grilling system called the GS4. The GS4 grilling system consists of battery-powered Infinity Ignition with three 10,000 BTU burners. This technology also has a so-called ‘flavorizer’ bar in true porcelain enamelled steel and grease management system. 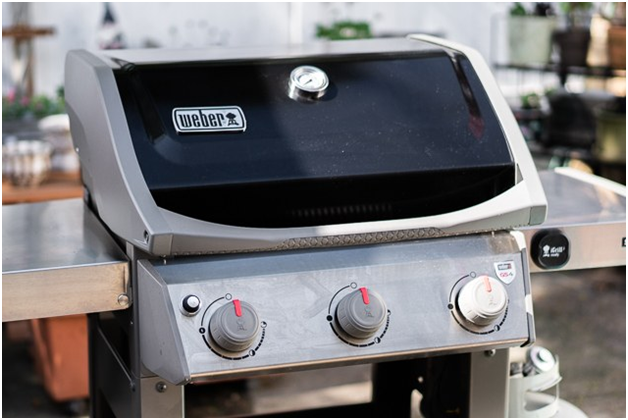 If you are familiar with the former Spirit collection of Weber, you’ll notice that those models also have a similar grilling system. However, what makes the GS4 grilling system of this current model is the availability of firebox. This item has a single piece cast aluminum firebox that redirects the grease into a slide-out grease tray using a funnel-shaped bottom. This feature is a great lifesaver when it comes to grilling. The iGrill 3 technology allows you to know the exact temperature of the griller surface and meat. Although this item has a built-in bi-metal thermometer on the grill’s lid, however, using this technology you can guarantee the accuracy of the gas grill’s temperature. So, what is your verdict about Spirit II E-310 by Weber? If you need more details regarding this product, consult the Perfect Grill Parts via their official website.